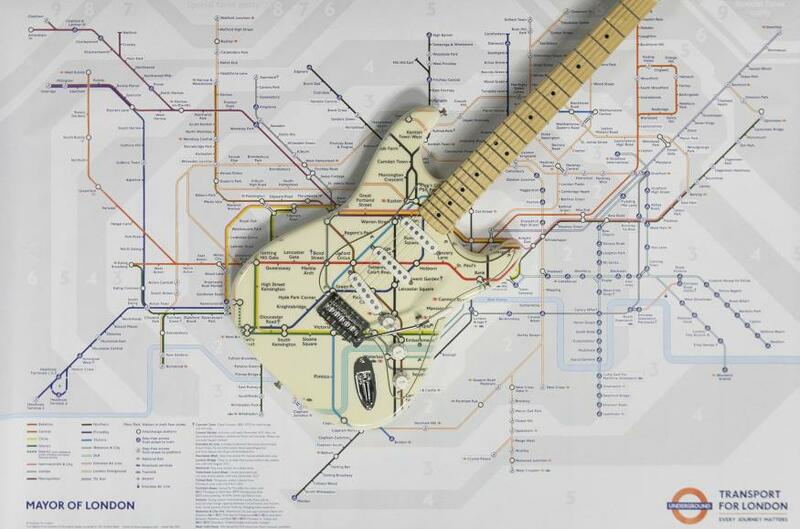 A Fender Stratocaster with a very familiar design, made for the London Transport Museum's Transported By Design exhibition. A quarter of London children are at schools where the air breaches EU limits. A Cressingham Gardens resident gives her side of the battle for her home. The House of Lords is recruiting on zero hours contracts. Police have released CCTV footage of a man suspected of trying to set Finsbury Park mosque on fire. A woman says her Uber driver racially abused and then attacked her. Anyone on the tube tries to give us a card telling us we're fat will be the recipient of words. Did the company behind the Sutton incinerator give inappropriate 'gifts' to local charities? French Connection is leaving Regent Street.